For most people who begin to workout, lifting heavy weight is sort of a dream for them. This is why heavy lifting mistakes are done so easily. Most people do not think it through or get enough practice before lifting heavy weights. The first and foremost thing to do is to get the basics of heavy lifting right, and only then move on to heavy lifting. There is something called lifting safety which should be kept in mind at all times, or else you might injure yourself. Most people lift heavy weight without being used to the basics, they are lifting simply to make a point to the other goers. The basics of heavy lifting tell you that you should at first be able to understand your body and the weight that you are lifting; this goes to say that for a lightweight person, 20 kg of barbell press could be a lot of weight, but for a heavyweight person not so much. Then there are four important factors you should keep in mind before heading to lift heavy weight. The most important part of lifting heavy weight, as anyone would tell you, is the form. Form relates to the way you are doing the exercises, and if your form is good then half your work is done. Heavy lifting is all about getting to the sweet spot and working the correct muscles, and unless you cannot do that, then it is of no use. Also, another important thing is lifting safety, and this is achieved with form. Yet another important factor that makes up the basics of the heavy lifting is the speed of lifting. Check for you speed when you are lifting, means the speed with which you are contracting and relaxing, or the positive and the negative. The idea is to do the positive movement faster than the negative one. So when you lift, do it in 1 second, and when you release, do it in 3 sec. This is because the release allows you to expand your muscle, thereby building it. The weight you are lifting is of utmost importance, but yet another important aspect is the repetitions, commonly known as reps. A person who knows the basics of heavy lifting would pick the right weight and do the right number of reps. Heavy lifting techniques suggest that when you are in need for muscle building then your repetitions should always be between 8-12. So, go for it, and increase your muscle volume. 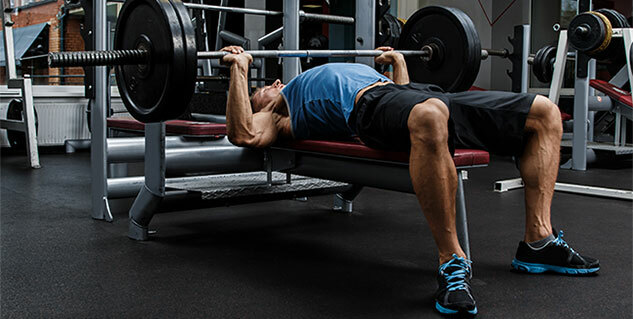 Everyone knows that we rest in between reps, but to what extent? The idea here is to maximise your efforts, and this is why mastering the resting period is of great importance. When you need to cut down on your fats then your resting period should be short. When there is a little period of rest, it means your muscles will get overloaded, and therefore will feel the feel out of its comfort zone. Are You Using the Right Weight for Every Exercise?